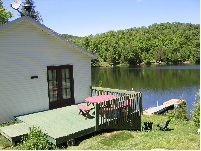 ...cottages directly on the lake at affordable price, this is what Chalets Bedard has been offering for many years, in the region of Mont Tremblant. 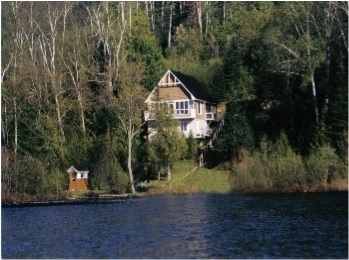 The Mont Tremblant region has plenty of lakes and rivers, the pleasure that a cottage directly on the lake offers is indeniable. While being direct on the lake, the Chalets Bedard are at 10 or 20 minutes from the Mont Tremblant et the Mont Blant, which will make ski fans happy. 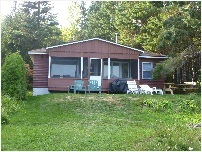 The Chalets Bedard provide a good combo of privacy, proximity and afordable price. 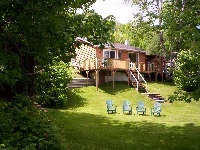 All the cottages are directly on the lake (exept the Lac Equerre). 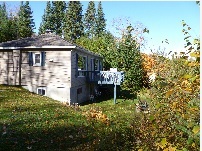 They all have a private land in the region of Mont Tremblant, a woodstove, a pedalboat, a little boat or a canoe, a patio, a BBQ and wood included for the fireplace. 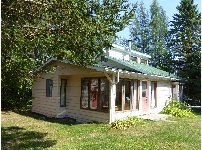 The cottage have nice interior design (country style), nice view and from 10 to 20 minutes of Mont Tremblant or Mont Blanc.